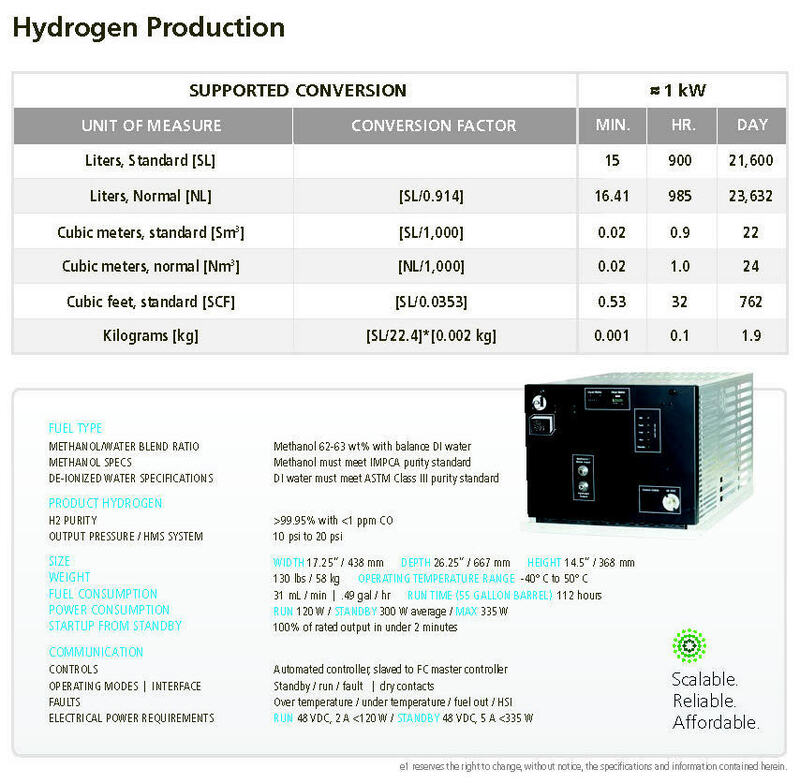 Small scale, on-demand hydrogen generators. e1 produces a full line of scalable, reliable and affordable hydrogen generators designed to meet global hydrogen requirements for fuel cell solutions, including power for off-grid & unreliable grid telecom sites. Our products significantly reduce the cost and logistical issues associated with the transportation and storage of compressed hydrogen. The S-Series was developed to economically meet the needs of 1 kW fuel cell power solutions targeting 4G cell sites, railroad infrastructure and broadband cable operators.